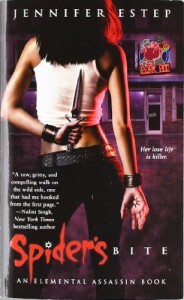 Closer to a 3.5 but still the best Urban Fantasy I've read all year. I was a little concerned as tales involving elementals and their magic generally doesn't do it for me but the opening chapter was a tour de force and convinced me to stay. The advantage of having a professional assassin as your heroine is the absence of angst, she doesn't have time to double guess her every move.Although the other characters were pretty standard they weren't too cliche. The interludes to build up the back story were a little clumsy and repetitive but not horrendously so. And the plot hummed along nicely. Despite the tantalizing ending I doubt I will continue the series but it was a fun way to pass the time.